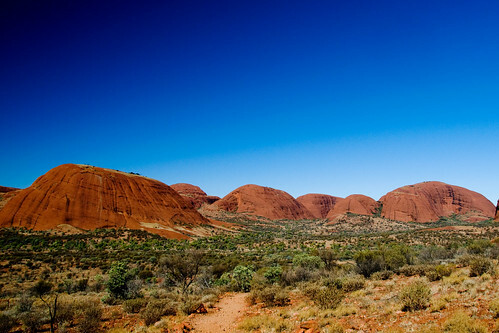 We’re visiting Ayers Rock/Uluru and Alice Springs on our trip. Most flights into the red centre of Australia go to Alice Springs, but it is a 4 hour drive to Uluru, so we opted to fly direct to Ayers Rock airport and then fly out of Alice Springs to avoid making the journey both ways. However, we discovered that getting a one-way car hire here can be very expensive. To make matters more complicated, there are going to be 6 of us, since my Mum and Dad are going to be joining us. If you go to one of the big car rental companies and look for a one-way rental for a minivan over 4 days you’ll be quoted some astronomical amounts. Luckily, Voyages, the company that runs the Ayers Rock Resort offer car hire with no one-way supplements so long as you have the vehicle for 3 days or more. It’s a bit of a pain as you can’t just book it online and I ended up phoning their reservations centre in Sydney about 4 times to get it sorted, but it does end up being significantly cheaper than elsewhere.